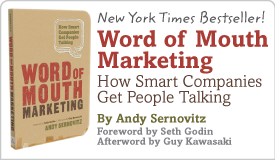 Lessons from a word of mouth supergenius | Andy Sernovitz | Damn, I Wish I'd Thought of That! 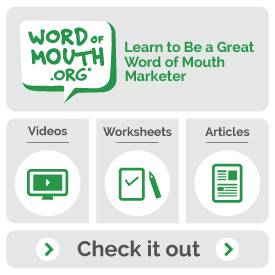 Jenna Jantsch of VerticalResponse shares what she learned at the great Word of Mouth Supergenius conference. You should come to the next one – July 20, NYC. This postcard, sent from VerticalResponse’s cool service, is full of inside references to the awesome event experience.